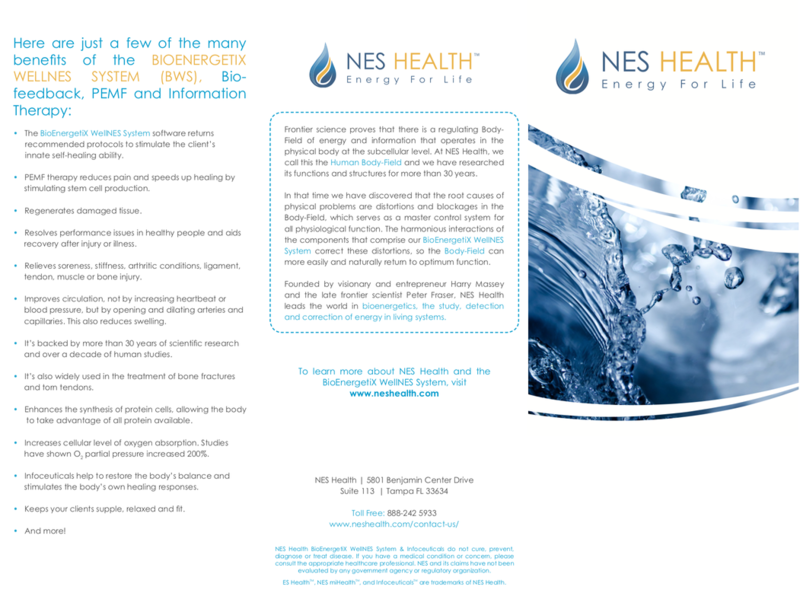 General Trifold: This is a simple folded leaflet, with general information about NES Health. 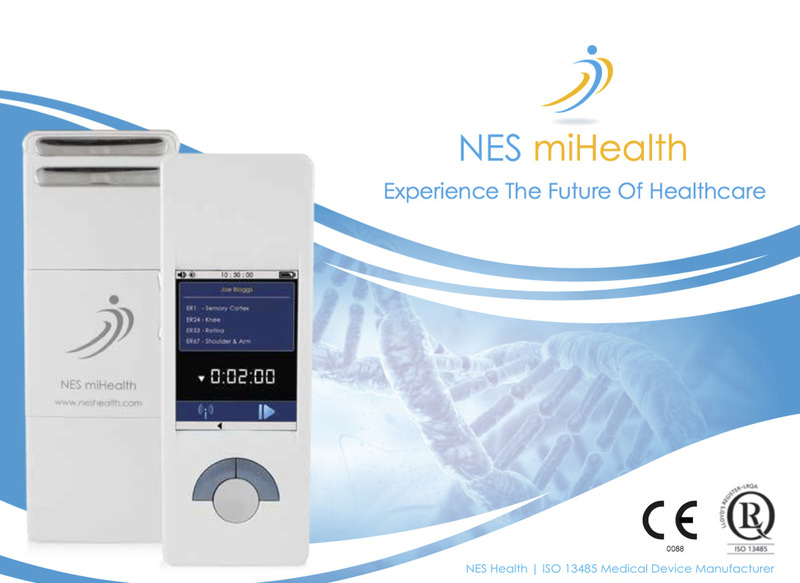 miHealth Brochure which gives an overview of the the power of the NES miHealth for Practitioners. 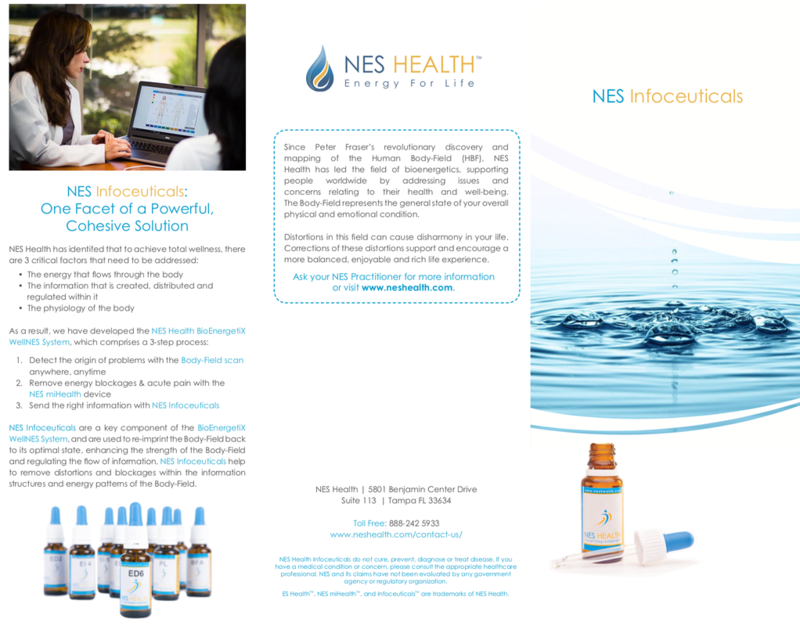 Infoceutical Trifold: A leaflet, which can be used to explain Infoceuticals. 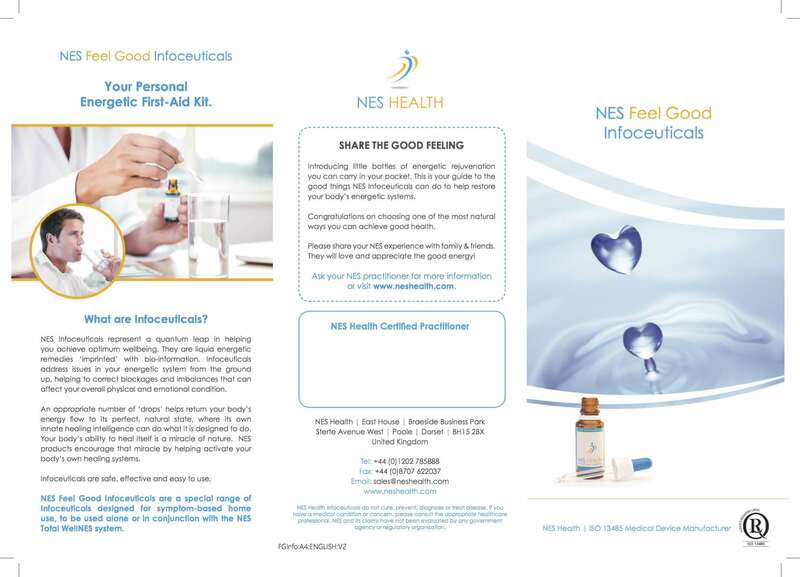 Feel Good Infoceutical Trifold: This is a simple folded leaflet which can be used by Practitioners to give to clients and patients to explain the Feel Good Infoceutical range. 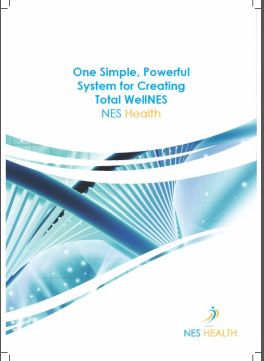 This 20 page NES Health Overview Brochure gives a full explanation of NES Health and the Total WellNES System. Mainly for use to provide information to interested Practitioners and doctors.